Wash the beet and cut into thin strips. Place the chips on a baking dish. Cover them in olive oil and add salt. Bake for 20 minutes or until the chips are crunchy. You can use zucchinis, sweet potatoes or carrots. Everyday life can get pretty busy and many people tend to go long periods without eating. The situation gets worse when we end up eating whatever is around to satisfy your hunger. This is why it’s important to have snacks around to avoid staying hungry for too long. 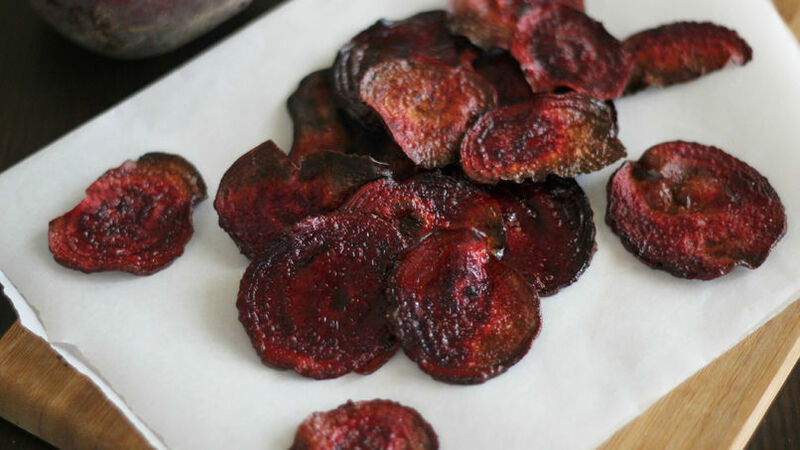 These beet chips are one of my favorite snacks and I know you’ll understand why once you try them. Cut the beet into fine strips, season with olive oil and salt, bake until crunchy and enjoy!